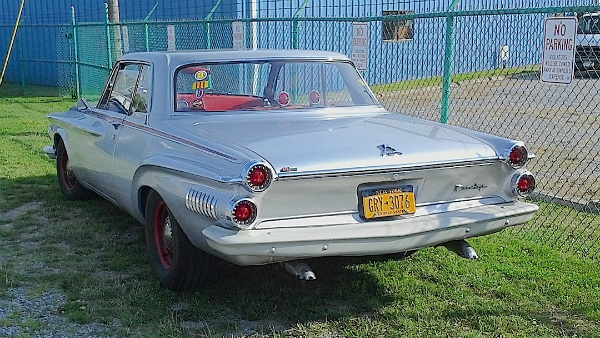 When I saw this 1962 Dodge over the summer in Tonawanda, I thought it was just another 1962 Dodge. But looking into it, it seems to be a bit more of a rare car. The Hurst badge on the trunklid should have been a clue. The wheels and (some of) the trim would make this out to be one of Dodge’s hot-rod 413 wedge cars. All of the references to the 413 I can find list it as a Polara, but some of this car’s trim doesn’t quite match up to that. It also doesn’t match up to any of the other models’ trim, so, unless the owner sees this we may never know. Quite a find, though, either way! Jim Corbran, RRofWNY …and check out our Facebook page: Non-American Classic Cars The post RealRides of WNY appeared first on Buffalo Cars.